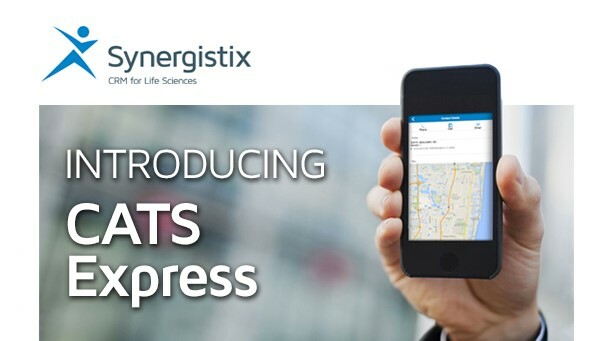 Introducing CATS Express: the newest member of the Customer Analysis and Targeting System (CATS) Software Suite that puts customer relationships in the palm of the rep’s hand. With an easy-to-use interface, CATS Express allows field-based users to capture and record interactions with Health Care Professionals and Institutions quickly and accurately when laptops or tablets are unavailable. CATS Express enables sales, clinical, and other Life Science teams to utilize any smart phone, including Apple and Android phones, to view practitioner profiles, quickly record calls or visits, and capture PDMA/Part 11- compliant electronic signatures for sample transactions. It offers rapid, convenient, and secure access to data and can eliminate the need for paper forms. CATS Express is fully compatible with the architecture of all CATS products, including CATS Mobile (the iPad/Windows 8 tablet version of the software) and CATS 3 (the PC-based version).